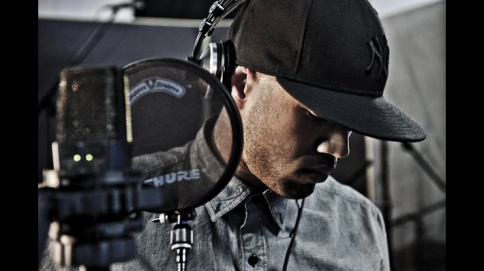 Dutch Hip Hop lovers have known and respected him as a rapper for years, the masses now get to know him as a singer. Mr.Probz’s track Waves has spread like wildfire in Holland and beyond… It hit number 1 in the UK just a couple of days ago! The talented rapper/singer is going to perform on May 30th at Melkweg in Amsterdam during an exclusive showcase hosted by Red Bull Studios Live. That night, Red Bull will also present a must-have book called ‘On Track’. A 200 page coffee table book with unique images and short stories about all the studio sessions they’ve had! To name a few: Diplo, Akwasi, Gaslamp Killer & Jungle by Night, Mr. Probz, The Partysquad, Jameszoo, Full Crate x Mar, Dio, Bakermat, Breach and many many more! If you just can’t get enough of the hit song Waves or you just love what Red Bull Studios is doing, you have to make sure to not miss this one out! I know I’m going to be there! Get your tickets here.